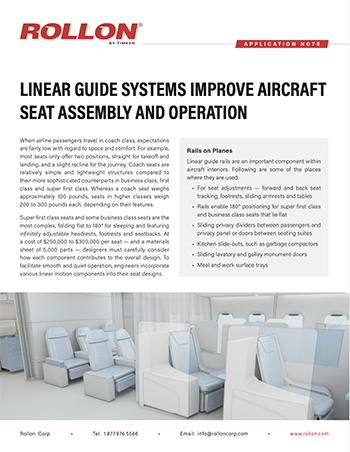 No linear motion vendor understands the demands of the aircraft seating industry like Rollon. 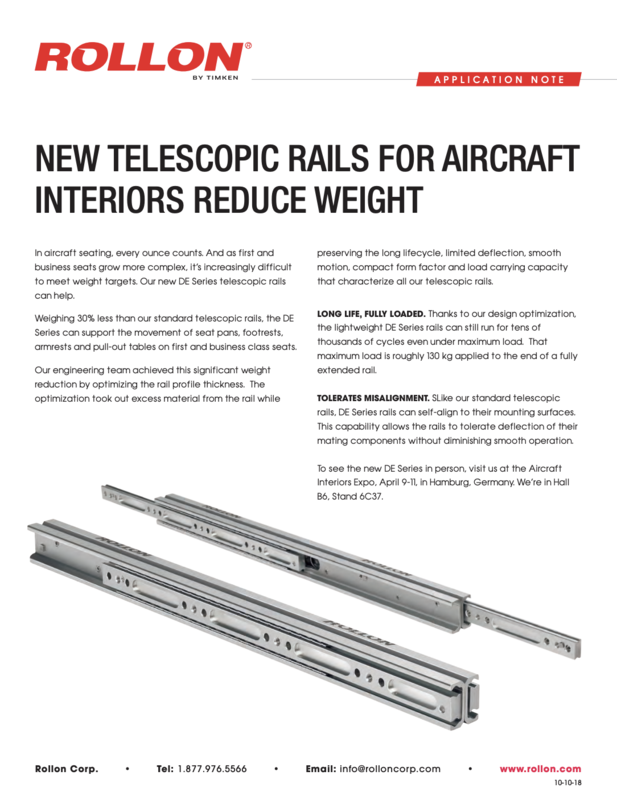 Over the years we have refined our products to reduce weight while increasing load capacity. We have developed more compact guides with greater strength. All while keeping a close eye on ease-of-assembly, comfort, ergonomics and lifespan. But it’s not just about the products. We have assembled a team of aircraft interior experts across the United States who are ready to help B/E Aerospace in every step of the design process. Our strength is our ability to design special custom solutions with a wide range of linear motion products that meet all your requirements.